Here’s help to get over life’s 20-foot walls.A career blow, panic attacks, overwhelming grief, sexual temptation, even plain old apathy—life’s tough challenges take many forms. Following Jesus doesn’t guarantee immunity. 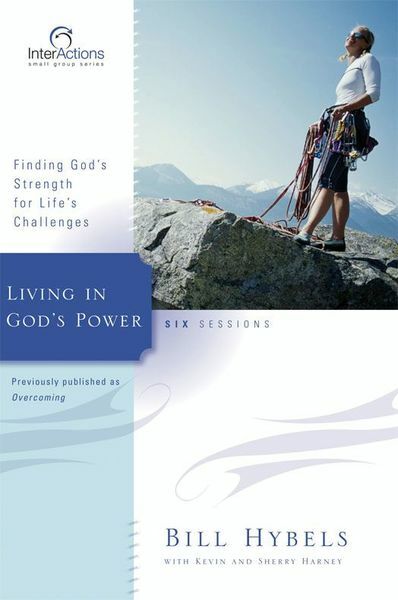 Rather, it offers growth and victory as you face your personal struggles in the power of Christ.In Living in God’s Power, Bill Hybels lends a hand to help you move beyond six tough hurdles: adversity, fear, apathy, greed, lust, and sorrow. As you unite the hope and insight of Scripture with the support of the people in your group, you’ll find strength to overcome the things in your life you thought would never change.Interactions—a powerful and challenging tool for building deep relationships between you and your group members, and you and God. Interactions is far more than another group Bible study. It's a cutting-edge series designed to help small group participants develop into fully devoted followers of Christ.